Call it celebrity endorsement or call it influencer marketing, but don’t call it celebrity influencer marketing. The two concepts are not the same, according to Huffington Post and Entrepreneur, which both record several distinctions. Regardless of how you slice it, one thing has remained constant in the world of marketing: Celebrities can bring influence to brands. In the case of Ike Behar, celebrity influence has brought both marketing influence and an effective venue to bring charitable dollars to low income children and families. 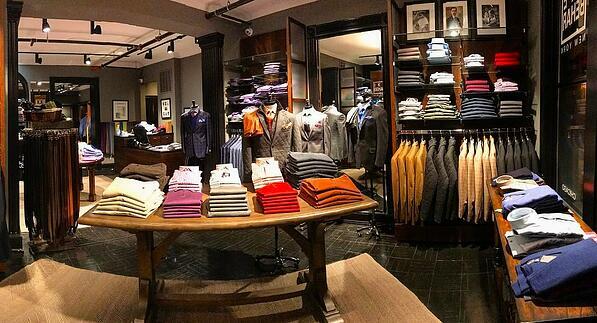 Indeed, Ike Behar boutiques including the location at Regency Centers’ Phillips Place in Charlotte, plus four others locations throughout the U.S., are known for exquisite craftsmanship, commitment to quality, and attention to detail. The company’s namesake, Ike Behar himself, represents a rags-to-riches American success story. It involves a 20-year-old Cuban immigrant with $50 in his pocket, who in the 1960s introduced his craft to a small tailor shop in New York City. After serving in the U.S. Army during the Korean War, Ike Behar returned to open his own shop and grow his product line into a trusted luxury brand that is now run by his three sons. For the Ike Behar brand and the Cowboys franchise, this year’s Dallas Cowboys Annual Kickoff Luncheon marked an extraordinary opportunity to make a difference. As Huffington Post reported on the event, proceeds from the luncheon and silent auction this year went toward Happy Hill Farm students, families, and alumni that were affected by Hurricane Harvey. Happy Hill Farm provides high potential/low opportunity boys and girls from around the world a home away from home, along with a world-class, character-building education and life-changing experiences. The mission is to train and educate compassionate young adults and put them on the path to becoming future leaders with a desire to change their world for good.